Bangladesh has been gripped by mass protests triggered by the death of two children in a traffic accident. The protest developed into a major standoff, and there have been scenes of violence in the streets of the capital, Dhaka, which is home to 18 million. The incident occurred when two school children in Dhaka were run over and killed by a speeding bus. Reports have stated that the driver lost control of the vehicle while racing another bus to pick up passengers. The accident triggered widespread anger on social media, which then led to a wave of student protests. Tens of thousands of school children took to the streets of Dhaka, blocking roads and intersections, leading to deadlock in the city. The protesters stopped buses, cars and trucks and demanded to check if the vehicles were in roadworthy conditions as well as checking if the drivers had valid licences. 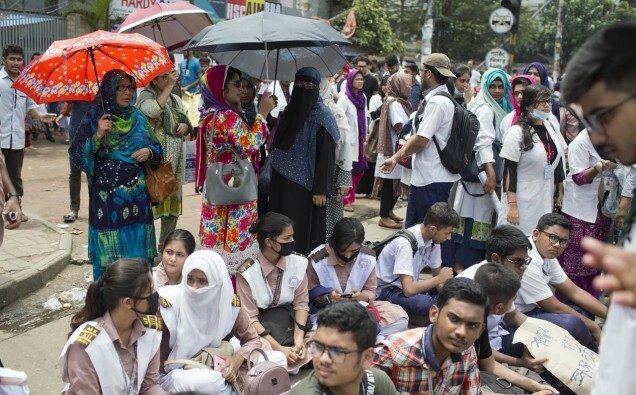 The protests continued in Bangladesh with thousands of pupils and students essentially bringing the capital to a standstill. Bus services in the city were cancelled. During the protest, violence continued as police clashed with the students on campuses and in residential areas. A local doctor said that atleast 40 people mostly students were being treated. There have also been reports of attacks on journalists including the destruction of phones and cameras. A female reporter said she was threatened and physically assaulted by a mob of men, even after agreeing to delete footage she had recorded of them.